Atty. 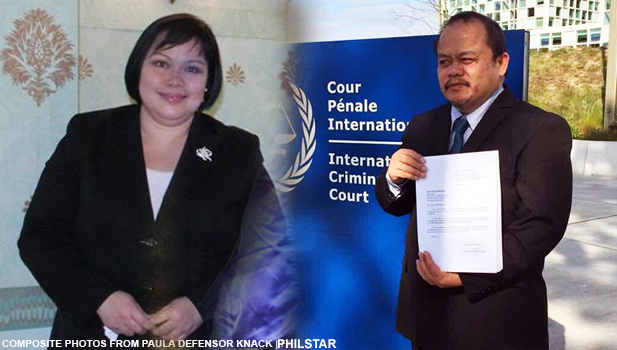 Paula Defensor Knack, expert of international criminal law in her Facebook page said that the International Criminal Court is a mere propaganda war where lawyers earn big. This surfaced after a case was filed by the lawyer of self-confessed Davao Death Squad member Edgar Matobato filed a complaint against President Rodrigo Duterte and 11 other government officials in the ICC. Atty. Jose Sacio in his complaint called the Presidnet a "mass murderer". Defensor-Knack said that complaints filed in the ICC do not necessarily make a case for hearing, according to the Rome Statute of the ICC. She said that there is a process for it. The international lawyer also added that should a complaint become a case, if cases were filed in domestic courts, the ICC has no jurisdiction. "The Court must let the domestic jurisdiction prevail because that is the procedure of the ICC unless courts are not functioning (ex. war). Lascanas and Matobato have to fight it our in domestic courts first because cases are already pending." Defensor Knack said that the ICC is a court of last resort. It is not the same as a regional trial court. "Several suspects with arrest warrants are even travelling and cannot be brought before the court," she said. Sabio sought proper trial for Duterte and these officials that would lead to conviction and prison time or lifetime imprisonment.